Am I the only person that doesn't give a damn about his weight? If his shot becomes as deadly as I think it will, his weight won't matter much. Edited by kidpolean, June 29, 2016 - 10:32 AM. Nope, I'm with you. The weight will naturally come within time. Clarkson added 10-15 pounds of muscle according to reports last offseason. I'd much prefer Ingram playing his game, gaining experience, and getting acclimated to the NBA first. Ingram, the Lakers' top pick Thursday night, reminds Walton of Draymond Green with his defensive instincts. "We didn't coach him how to be such a phenomenal team defender," Walton said of Green. "He just was, because he sees the game like that. It means that the player is pretty intelligent, and I think that Brandon fits that mold." I'm just trying to imagine how this guy is going to turn out. I will give him this. He's a kid. The weight isn't a concern at all. It will come with training and age. One step at a time. Let's clear the dead wood, head cases and Kobe jock bearers from the locker room- Nick Young, MWP. Heck I'd like to see Kelly, and maybe Lou Williams gone too. Then, lets find a decent, sane veteran with some decent footwork and a work ethic to mentor this guy along with some of our other young guys. So what if we have to overpay, we have the $ this year. Ideas? Deng? Dudley? Let's allow these guys to play together, lose a bunch, start to figure it out and win a little, then get hungry, before we start hanging DPOY expectations on any of them. We FINALLY have been able to move on from the Kobe era, we have some talent, lets not hang unreasonable expectations on them. Trust me, it's easier to gain weight as you get older. Honestly, the answer is likely somewhere in between. The 1st option would be an overachievement that Lakers fans would welcome, and the second would be underachieving his upside and potential. So the answer or the happy medium I think would be the middle. If he became a superstar which is no guarantee in the slightest it would likely be a tier below that 1st option. "All-star" is probably around there as well because he'd have to be considered the 2nd best Small Forward in the West in order to become an all-star. Which means he'd have to beat out either KD or Kawhi. You and I have the same thought process as far as this team. Cut the dead weight and make a clean break with the past. Move forward. He was 2" shorter, but Reggie Miller hung around 195 most of his career. As long Ingram can ball, he'll be fine in this new NBA. 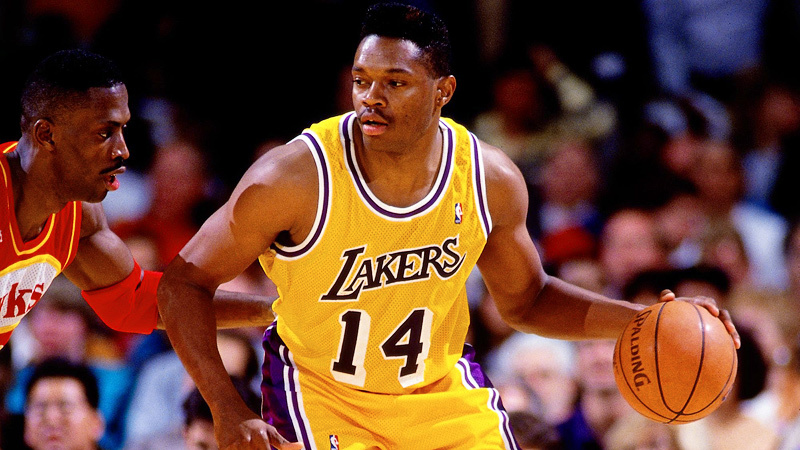 "SLEEPY EYED ASSASSIN" SAM PERKINS!! That fits Ingram to a T! Introductory press conference for Lakers 2016 draft picks @B_Ingram13 and @ivicazubac will be held on Tuesday 7/5 at 2:30pm PT. Don't think I've heard this brought up but is it possible we pushed this until later in case we traded him?